It’s not uncommon for gear manufacturers to name a signature product after the iconic ski route between Chamonix and Zermatt. It’s a little more meaningful, however, when the company is based near one of the termini. The Haute Route crampons are designed to last the whole journey while not weighing you down. Grivel uses carbon steel to make the toe piece, giving the points good durability on rock. The rear points are aluminum, designed to keep things light while still giving good purchase in hard snow. 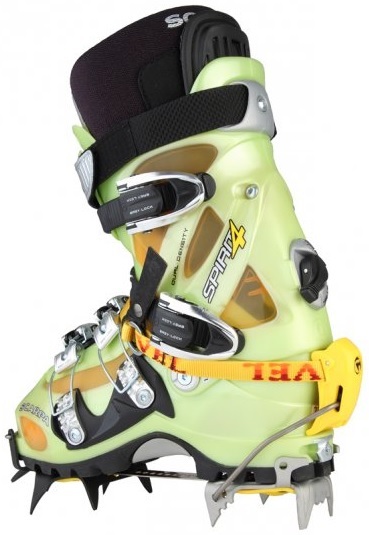 The ends are connected with a solid linking bar and attached to your ski boot with a simple wire bail and secure webbing. The Haute Route Ski-matic is an optimal compromise of speed and robustness. Easily fits most ski boots, including the Sportivas with rockered soles. Front and rear anti-balling plates prevent dangerous snow buildup. Six-point front piece made with reliable steel to weather your abuse. Four-point aluminum heel piece is attached with an adjustable lever bail. Adjustable linking bar fits women’s size 5.5 feet up to men’s size 12. CE, UIAA, and Skimo Co certified. How do these fit on the current Scarpa F1? 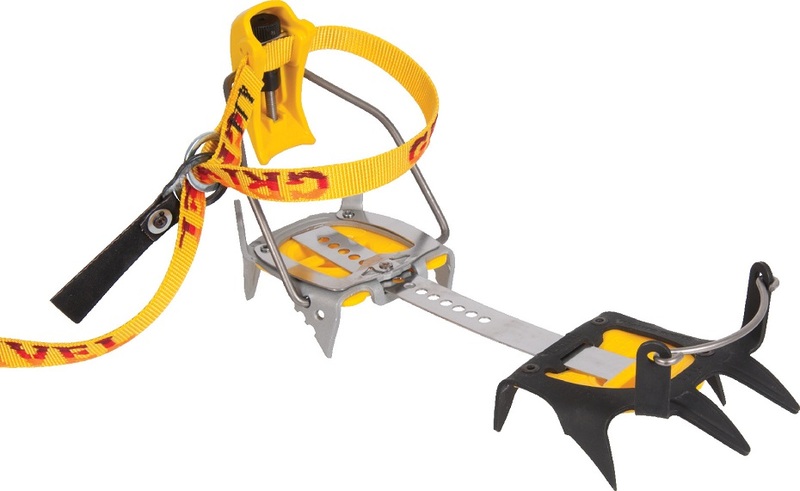 I can't get a good fit with my other crampons and need something that will fit. Hey Andrew. I just tried it on the new F1 and once you adjust it properly it'll cam on just fine. The walk lever is the only thing that could interfere but if you're in walk mode with the lever up then it'll attach just fine. The heel on the F1 seems pretty narrow and wasn't touching perfectly on both sides but I'm not hesitant about using it. 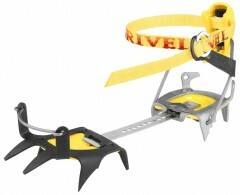 These are pretty sweet crampons. I've front pointed glacial ice with no issues. Haven't had one pop off, though I do also have the older, all aluminum race version of these with the ratchet strap and I've had those pop off. The front points are short, but when paired with a boot with a low profile toe welt (ie TLT6), they seem to work good on anything I'd plan on skiing back down. Will these fit La Sportiva Spectre size 28.0 out of the box or would I need to purchase a longer bar? Hi Chris, the included bar will easily accommodate the 314 BSL.